Selma and I had a rather unique (for us) travel schedule last week. We first went to Orlando for a LifeWay Kids Conference. Selma gave the opening keynote address at this national event held at the Orlando Marriott Hotel. She did awesome – she was great! And she held everyone's attention – for an hour! Selma is always aware of her audience and makes connection with them an absolute priority. Thus, she is one of the few who can talk for quite a while and not lose an audience. I think our pastor Pat is another one who can do the same (although I do sometimes give him a hard time when he is long on Sundays). We also had the opportunity to lead a workshop there on our new book, The Parent Adventure. I also had the privilege of sitting in on a special workshop on the emotional needs of children. It was led by a couple of excellent counselors who operate right here in the Nashville area. Orlando was a good leg on our journey. We then hopped a plane to take us to Hartford, Connecticut, for a couple of days of travel around New England. Our adventures took us to Mystic, Connecticut. Selma's brother was stationed near there when Selma was 16. She spent a summer there with her brother and his wife. Years ago. 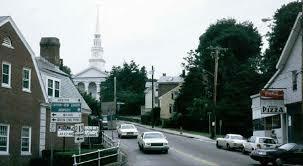 Beautiful village by the Connecticut coast. We visited a state park on the coast known as Harkness Memorial State Park. This was an amazing mansion/estate on a penisula of the coast. And here's the cool thing: Selma and I had the place to ourselves! It was all but deserted. Now I've got a thing about visiting "new states". I love new states. (New to me.) 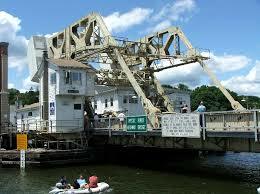 So, while we were in Mystic, Selma allowed me to drive a few miles to cross over into Rhode Island – another new state. On Friday before the Beth Moore event that night, we headed north. We drove through Massachusetts and into Vermont. At the Vermont Welcome Center we asked about a place to eat and grab some New England calm chowder. The guy told us about Amy's Bakery Arts Cafe in Brattleboro, VT. Honest. We found it and had an incredible lunch at this hole-in-the-wall. Don't miss it if you're ever in Brattleboro! If you can see them, we ate lunch in Vermont under the blue window coverings on the right, overlooking the river. 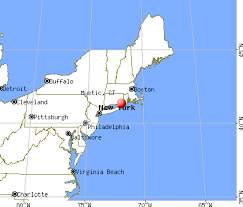 New Hampshire is left of the river. Then, (are you asleep yet?) we crossed the river we overlooked at lunch and went into New Hampshire for new state number four for me. One thing Brattleboro told me is that the five-and-dime, local bookstore, hardware shop, bakery, etc. is alive and well in some places. Not all of the country has gone to the chain stores. It was reassuring to see that. Then, the Beth Moore event was in Hartford last Friday night. What a joy to be one of the "few brave men" in that church full of 3500 women! I felt protected because my wife was beside me the whole time! Beth's message was amazing. It is always fresh. No, I mean fresh. For example, this was her 100th event with LifeWay, and it was the first time she had ever, ever spoken from the passage she shared from. It came to her from the Lord that afternoon. She had spoken four times in New England that week with four new messages. It was also a proud moment when my wife went down to counsel women at the end. Back at the hotel, LifeWay had a reception for Beth recognizing her 10th year, her 100th event and that evening in Connecticut was her 50th state she had done with LifeWay. It was good to be around her team that simply loves Jesus like crazy. Selma and I even got to take Beth to the airport the next morning. That was a special treat. When we asked Beth how we could pray for her, her answer did not surprise me. She thought for a moment and replied: "just pray that I will love Jesus more and more". Thank-you. Lord, for a wonderful trip of speaking and visiting some places new to us. It was just incredible in New England with the trees in bloom. You'd think Selma had never been to the Smokies before the way she went on and on about the color! It was indeed astounding. As an extra treat (among many on this trip!) 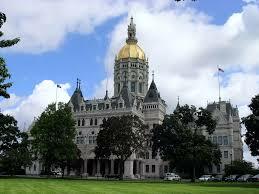 I got to run in the Bushnell Park in front of the Conn. state capitol. See below. The park was like a small Central Park of NYC. Such a nice place to run even if it was 30 degrees. Sounds like a good time! You’ve got to let us know when you’re new book is out!!! Sounds like a ton of fun! I recently did the travel-into-new-states-for-us thing with my mom. We hit CT, MA, NY, NJ, DE, VA, WV, PA, DC, KY & TN in one two-day trip. I love travel! Maybe I’ll get to VT one of these days for some of that clam chowder! Oh how FUN! I can just see the smiles all over your faces riding around and seeing “new” places all week. That is something that Steve and I love to do as well. We can’t wait to get back to that some day. Well, actually, we do that here too. We don’t drive too far from our city, but within our city. It’s fun stuff!